This is my oldest son Crews, in his halloween costume. 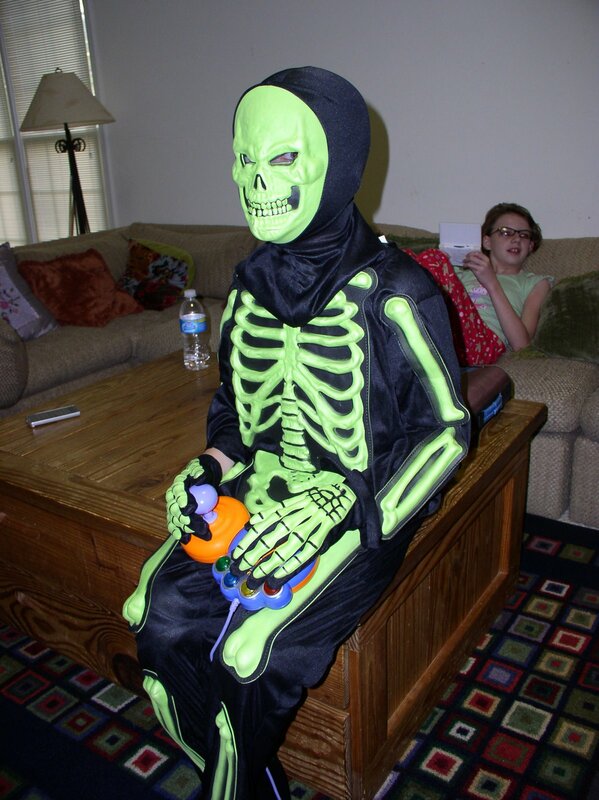 He’s a glow-in-the-dark skeleton. At least that’s what the package said. But alas, he is neither in the dark, nor does the costume glow, even when it is. Scary, you say? Fiendish? Ghoulish? Unfit for an 8 year old boy? The second he saw this costume, he just loved it.